With openSUSE 11.2 right around the corner, let’s take a look at what’s new and interesting in the GNOME desktop for this release. Highlights include a preview of GNOME 3.0, new applets and application updates, and the incredibly attractive Sonar theme new for 11.2. For users coming from 11.1, openSUSE 11.2 actually features two GNOME releases worth of updates. Because of the lengthy release cycle, openSUSE skipped the 2.26 release and jumped to GNOME 2.28, which was made available in September. Nautilus now has a plugin to allow quick and easy file sharing. Just right-click on the folder you’d like to share and select “Sharing Options.” This makes use of Samba, so you need to enable directory sharing under the Samba Server module in YaST. 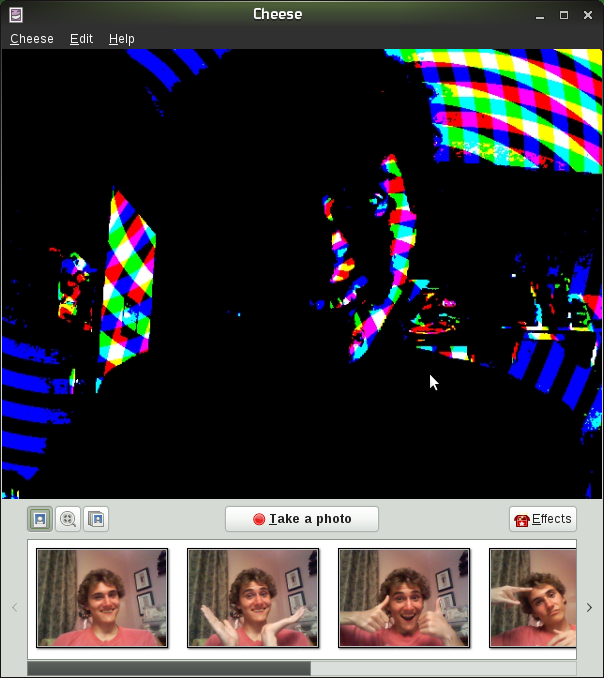 The Webcam application for GNOME, Cheese, includes some enhancements for 2.28, including a redesigned interface that’s better suited for netbooks. Not only does openSUSE feature the goodness from upstream GNOME, but also some home-grown improvements as well. For instance, the Sonar theme that is the default in 11.2. It’s a slightly darker, but still green, theme that’s pleasant to look at and show off to users new to Linux! Vincent Untz, a member of the openSUSE Booster team and member of the GNOME Foundation Board, says that part of the main focus for 11.2 was “to be a better upstream citizen” with GNOME. So, for the most part, openSUSE does not diverge greatly from upstream GNOME — but there are some differences. For example, GNOME 2.28 ships Empathy as the default instant messaging client. Untz says that it’s likely openSUSE will switch to Empathy in 11.3, but due to issues with some protocols and proxies, it was decided to keep Pidgin as the default client for one more release. Empathy is, of course, available via the repositories, so users who want to start with Empathy now can do so. Want to get a preview of GNOME 3.0? The final GNOME 3.0 release isn’t due until September 2010, but openSUSE 11.2 has an early build of GNOME Shell in the repositories and users can see what all the fuss is about (or will be about), early on. And, of course, you’ll find Firefox as the default Web browser for openSUSE instead of Epiphany. openSUSE users will find the most recent stable version of Firefox (3.5) on their GNOME desktop, though Epiphany and its new Webkit backend are available in the openSUSE 11.2 repositories. All in all, there’s a lot to look forward to in GNOME in openSUSE 11.2. Be ready to grab it on November 12th! You have not learn nothing from the past. Application Browser is still a horrible mess full of unnecessary, duplicate desktop files. When will you finally learn what belongs between applications and what to control center..
you have not learned anything…. watch out for double negatives! The application browser is not nearly as much of a mess as your grammar. You’re right but you can always exchange it for the Traditional Menu, which I can’t live without and is to me still better organized. Never had so much fun in my Turion64X2 with openSUSE x64! Long live GNOME! Long live GNOME! Unfortunatelly traditional menu is in openSUSE also a mess. Because it’s not organized that way like in ubuntu, but every menu entry has also sub menus what is very wrong approach. But i like slab menu more, but only after furious deletion/hiding some duplicate desktop files, until it’s clean and properly organized, the way it should have been from the beginning..
I’m sorry 6205, I have to say it: I hate Ubuntu. I could not do anything in it that I was used to do in openSUSE. Simple but powerful things like compiling external modules to the new kernel, getting the same kernel sources and tools to do it, configuring every little aspect of my custom system (changing gid for uid and owner in file system tab) working with ntfs-3g – easy (or almost) with openSUSE, impossible (for me) in Ubuntu. I’m not an expert in linux, I wish I were but openSUSE manages to get me 99% of my hardware and software needs working. That’s brilliant to me! Ubuntu is popular… I don’t know why, really. About Traditional Main Menu: don’t want it to change a thing, works perfectly for me and looks good. This comment form is broken – I can see JayCe’s email address & name pre-poulated for me! Maybe we can become pen pals!? LOL! My e-mail account is always empty and I don’t shop online… so no biggy! Samba improvements are quite welcome. I use it often, on multi-purposes. Don’t know it yet how to make it bi-directional (only Linux to window$ so far) but don’t care either as it feels to me like an advantage). About POPping the e-mail accounts, Evolution is only worthy of praise – backup and restore with 3 or less clicks, simply wonderful. Thank you Novell. GNOME’s System Monitor laboring all the time fully integrated at the Panel is a must-have for tracking processor’s over-cycle-consumption and/or dangerous system loads. Probably the best feature of GNOME. Tried it with KDE… it’s not the same! My only criticism on openSUSE GNOME gui is YaST-GTK software management vs YaST-QT. YaST-GTK works fine, but sometimes I’m forced to use yast with –qt option as software management is related because of ‘package provided’ or ‘package provides’ search parameters or even minor theme-related exit-errors. Hope to be bit-torrenting DVD 11.2 in a few! <q cite="Nautilus now has a plugin to allow quick and easy file sharing. Just right-click on the folder youâ€™d like to share and select â€œSharing Options.â€ This makes use of Samba, so you need to enable directory sharing under the Samba Server module in YaST. I’m running Gnome 2.22.1 on OpenSuSE 11.0; I already have this feature. Am I missing something or is this a mistake on Joe’s part? File sharing between Windows and Linux on openSuse is very easy but somehow I have a problem sharing files between two openSuse machines (Linux/Linux). Can someone please explain me the easiest way of doing so. I know that I have to install NFS but where does it fo from there? You don’t have to use NFS to share file between linux/linux, just use samba and you can share your file the same way you share your file between linux/windows. yeah, but did no one notice how hot is the guy on Cheese’s screenshot? I’ve been using 11.2 RC2 for a few weeks now and, while not perfect, it is more efficient and stable than previous versions. Browser?) is absolutely horrible. I just do not use it. Instead I use the “Traditional Menu” but that too is far from ideal. please do clean this up. that I have not found yet :) …Can’t wait to update to the release and see what problems go away! hey Jayce, I think the reason Ubuntu is so popular is because it’s easy to use. Installing from a .deb file is quite simple. I love openSUSE but every time I install it on my machine I have issues and I never can get the apps I want configured the way I want them. Suse wont work on my old laptop (I use puppy linux). I think the perfect distro would be KDE 3.5.7 but prettied up to make it look more updated. I love Konqueror as a browser but KDE going to 4.x has been horrid. Amarok 2.x is just a mess. I have to stick with 1.4 because it’s the best media player IMO. I can tell Ubuntu is eventually going towards a pricing model for their software instead of “free.” That’s what it looks like anyway to me. Maybe one day suse will be very easy for a noob. It’d be cool for example to have amazonmp3 store software installed prepackaged in a repo. It’s very hard to get it installed on a suse machine or at least it was in the past. The 11.2 desktop looks nice but would look nicer with the lizard icon on the SLAB button.